(341 hp [254.3 kW] @ 5400 rpm, 373 lb-ft of torque [503.6 N-m] @ 4200 rpm); (Includes external oil cooler. 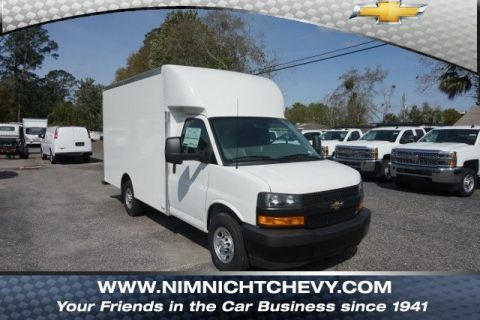 This Chevrolet Express Commercial Cutaway delivers a Gas V8 6.0L/364 engine powering this Automatic transmission. WHEELS, 4 -16 X 6.5 (40.6 CM X 16.5 CM), 8-LUG PAINTED STEEL, HEAVY-DUTY (STD), WHEEL CONFIGURATION, REAR, SINGLE (STD), TRANSMISSION, 6-SPEED AUTOMATIC, HEAVY-DUTY electronically controlled with overdrive and tow/haul mode. 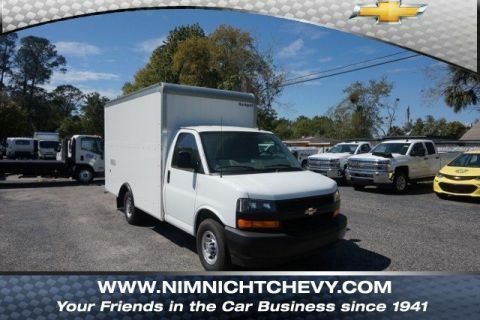 Includes Cruise Grade Braking, Powertrain Grade Braking, and Tap-Up/Tap-Down Driver Shift Control. 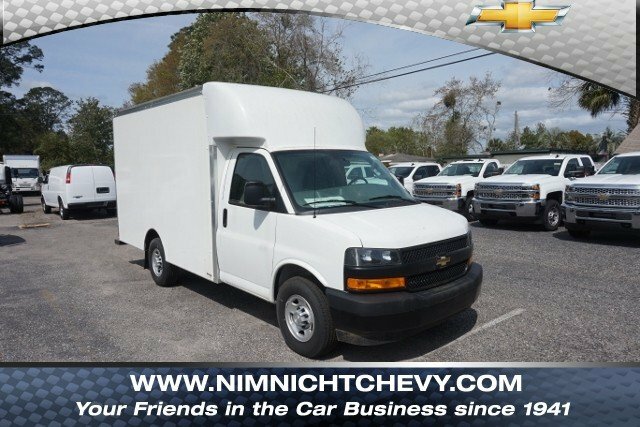 * This Chevrolet Express Commercial Cutaway Features the Following Options *DRIVER CONVENIENCE PACKAGE includes Tilt-Wheel and (K34) cruise control , TIRES, REAR LT245/75R16E ALL-SEASON, BLACKWALL (STD), TIRES, FRONT LT245/75R16E ALL-SEASON, BLACKWALL (STD), SUMMIT WHITE, SEATS, FRONT BUCKET WITH CUSTOM CLOTH TRIM, HEAD RESTRAINTS AND INBOARD ARMRESTS Includes only driver high-back bucket seat with Custom Cloth trim when ordered with (ZX1) driver-only high-back bucket seating arrangement. Includes (BA3) engine cover console with swing-out bin. ), SEATING ARRANGEMENT, DRIVER AND FRONT PASSENGER HIGH-BACK BUCKET includes head restraints and vinyl or cloth trim (STD), REAR VISION CAMERA camera and cable shipped loose, REAR AXLE, 3.42 RATIO, PAINT, SOLID, ONSTAR GUIDANCE PLAN Limited Trial Service, including Automatic Crash Response, Stolen Vehicle Assistance, Roadside Assistance, Turn-by-Turn Navigation, Advanced Diagnostics and more (trial excludes Hands-Free Calling minutes)..* Visit Us Today *Stop by Nimnicht Chevrolet located at 1550 Cassat Ave, Jacksonville, FL 32210 for a quick visit and a great vehicle!